The former Maritime Frame-It location is singing a new tune as of last weekend. 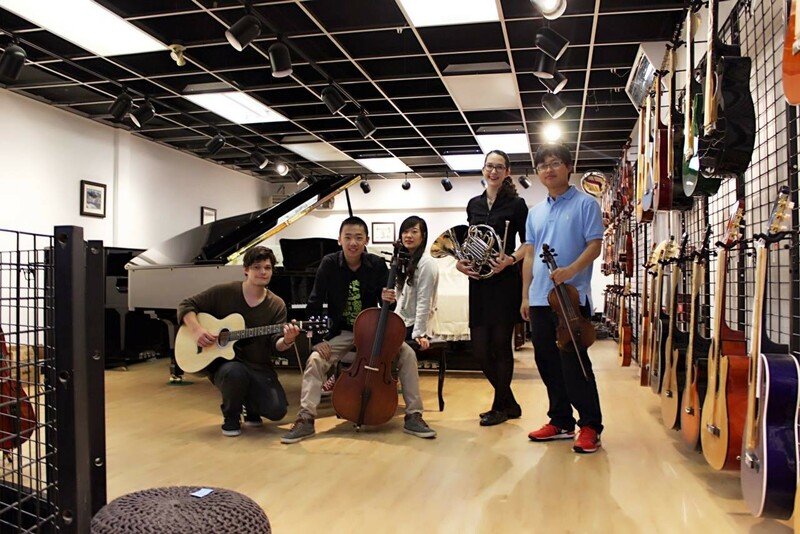 It’s now the home of Fantasie Music (5512 Spring Garden Road), an instrument shop and private lesson space owned by son and father team, David Yu and Huiliang Yu. David's studies here in Halifax inspired the Yu's to bring the Chinese-made line of Fantasie instruments to Nova Scotia with the aim of eventually expanding the store into a multi-location chain. Now in its soft opening stage, the shop carries guitars, violins, pianos and other stringed instruments, but will be bringing in woodwinds, brass and some traditional Chinese instruments in the near future. The downstairs portion of Fantasie Music is dedicated to its lineup of private lessons—right now they're offered in hourly increments, in piano, violin and guitar. If learning to tickle the ivories tickles your fancy, ask about the shop's grand opening special, free trial lessons.